Police arrested two employees of the convenience store on the corner of Goodfellow and Delmar on July 24. 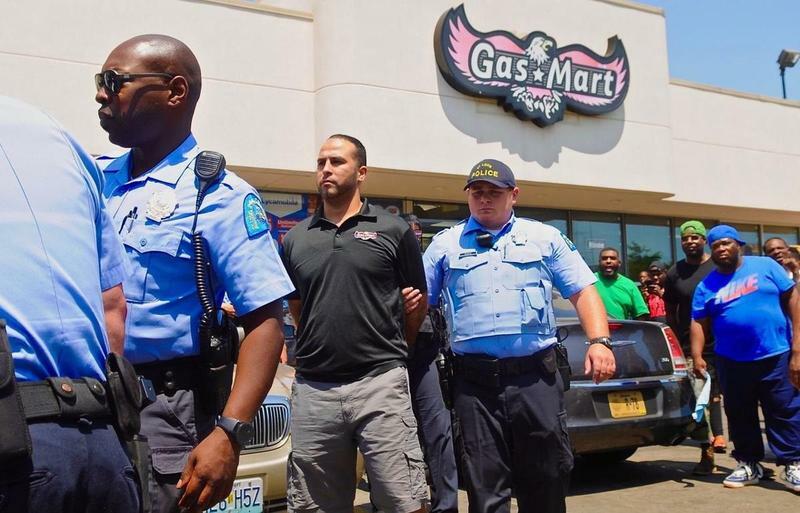 On Tuesday, July 24, two St. Louis convenience store employees, later identified as Jehad Motan and Ahmed Qandeel, were seen on video kicking a black woman, Kelli Adams, who some describe as homeless, in front of the Gas Mart at Goodfellow and Delmar. Nearly an hour later, members of the community gathered in protest to shut the store down, make sure that Adams received medical attention, and see that the store managers were arrested. Their main goal was to block business for the convenience store. 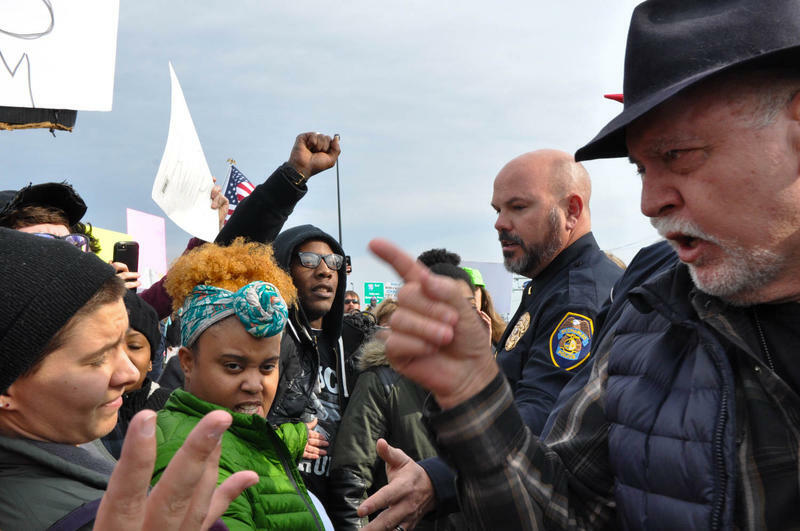 State Representative Bruce Franks Jr. (D-St. Louis), also an activist, contacted Price, and the two summoned other activists and neighborhood members to the area. Six police vehicles arrived at the scene, though an ambulance did not arrive to attend to Adams until 30 minutes after the incident. It took the community coming together in protest and blocking the store’s entrance for police officers to finally take action and arrest the suspects in the video. The Circuit Attorney's Office has since issued arrest warrants for one count of Assault 4th Degree, against Jehad Motan, 32, and Ahmed Qandeel, 19. The protest successfully shut down the facility’s business by protestors blocking gas pumps with their cars and standing in front of the entrance. Shemika Russell, who videotaped the assault, said she is a longtime customer at the Gas Mart, and so is Adams, though Adams also panhandles outside the store. That day, Adams had asked her friend to buy lottery tickets for her because the owners refused to let her in the store. The store attendants wouldn't let her friend purchase the tickets, so Adams became "irritated," Russell said. That's when the owners came after her. Article reprinted with permission from the St. Louis American. Whitney Gipson was one of three women bailed out of jail before Mother’s Day thanks to the efforts of St. Louis activists. Expect Us raised nearly $3,000 through an online fundraiser. Members of Expect Us met with other advocates at the St. Louis Justice Center on Saturday. The event included food, children’s activities and short speeches by local demonstrators and leaders, including Democratic Missouri Rep. Bruce Franks. Gipson, 26, told a small crowd about her experiences while staying at the city’s two jails. Updated at 3:45 p.m. — Hours before President Donald Trump was expected to call for changes to the federal tax code that he claims will boost the nation’s economy, protesters gathered outside of the St. Charles Convention Center. Nearly 100 people who oppose the president and his policies held signs that read “LIAR” and chanted slogans like “Save America, Impeach Trump.” There were clashes between people who came to support the president and those who oppose him. But the dominant message on St. Charles streets was that Trump’s presidency has been bad for the nation, particularly members of minority groups.